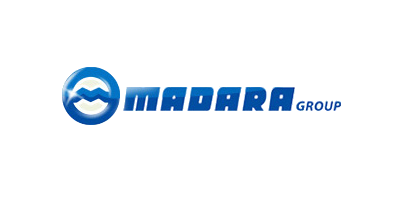 Since its foundation in 1958, MADARA has gathered rich experience in the production of heavy duty vehicles, rear and front driving truck axles, agricultural and road construction machines, gears and shafts, castings and forgings, springs and stamps, tools and tooling equipment. We manufacture entirely on our own front steering axles with load capacity of 6.5, 7.5 and 9 tons, our range of front and rear driving double reduction axles for trucks, tandem axles, trolleybus and bus axles, support axles with load capacity from 9 to 13 tons, single reduction axles with load capacity from 3.5 to 13 tons. In 2008 MADARA introduced the production of agricultural machinery and farm equipment. So far we have developed and produced over 70 different types of technology. These have been certified for safety and compliance with European standards by the Agricultural and Forestry Machinery and Spare Part Test Centre in Rousse, Bulgaria. MADARA has a Construction and Technology Department, where new products and technologies are constantly developed. We design and produce products, tools and equipment on our own. The company has its own chemical laboratory, where all necessary chemical, metallographic analysis and mechanical tests of the materials implemented in our production are performed. We also do quality control for random batches of our production and test the measures according the criteria in the technical documentation. Furthermore, we periodically check our production tools and measuring equipment. MADARA is a Joint Stock Company, registered to ISO 9001:2008 and has a certificate of registration of Bulgarian Patent Office from 2007.